Guest post from Megan Gates who is an active blogger who provides written work to the blogosphere pertaining to Elliman.com, Hamptons Homes for Sale, home improvement and the latest architecture, design, fashion and travel. Follow her on twitter @MEGatesDesign. It seems that everyone wants to travel to the Big Apple and breathe in the excitement and cosmopolitan atmosphere of this city. And who can blame them? New York is one of the most exciting cities in the entire world and its siren song attracts visitors from every corner of the globe. Unfortunately, once these visitors arrive in this city they often don't have the slightest idea of where to begin. With that purpose in mind we have compiled the must-see attractions that visitors to New York absolutely must-see. These attractions are the best of what the city has to offer and will leave the first-time visitor with the feeling that they got the true essence of the city. One of the most popular attractions in New York City is the Empire State Building. This 102-story building is considered to be the cultural icon of the city and is visited by over 111 million people since it was erected. It was built in 1931 and is considered to be one of the finest examples of art deco architecture in the world. Visitors can take in a breathtaking view of the city from one of its main observation decks. The observation decks are open 7 days a week from 8 am-2 am and are only closed for a few hours for maintenance and cleaning. This allows visitors to take in a panoramic view of the city both during the day and at night. Admission price is about $22 for adults and $16 for children over the age of 5. Children under the age of 5 get in for free. The American Museum of Natural History is one of the most celebrated, and certainly the largest museum in the entire world. This museum was built in 1869 and is located directly across from Central Park. It contains a gigantic collection of over 30 million specimens spread out over 26 inter-connected buildings. These exhibits cover a wide diversity of subjects on everything from space exploration and weather sciences to plants and animals. The American Museum Of Natural History is open every day from 10 am-6 pm daily with the only exceptions being Thanksgiving and Christmas when the museum is closed. Tickets are $19 for adults, $14.50 for seniors and $10.50 for children. Central Park is the flagship of New York's public park system and covers an area of 843 acres. It is known as the ultimate man-made oasis in the center of Manhattan and contains beautiful trees, peaceful streams and beautiful walking trails. It also contains a fine assortment of amenities which include the Central Park Zoo, Shakespearean plays hosted at Delacorte Theater and free performing arts festivals at SummerStage. Most first-time visitors to New York consider the Staten Island Ferry to be just a form of transportation from Lower Manhattan to Staten Island, but it is actually an attraction in and of itself. This ferry is the perfect location to enjoy a fabulous view of the Statue of Liberty and the New York Harbor. This ferry runs 24 hours a day, which allows visitors to see the city and the harbor lit up at night. As an added bonus, the Staten Island Ferry serves beer until midnight and there has been no fare to ride this ferry since 1997. Grimaldi's Pizzeria isn't just a pizzeria, it is a New York institution. It is located by the Brooklyn Bridge and is known for its authentic New York Style pizza that is coal-fired in a brick oven. It is a pizzeria that is well loved by residents of the Big Apple, including famous ones such as former NYC mayor Rudy Giuliani and singer Frank Sinatra. Anyone wanting to get a taste of true New York nightlife has to pay a visit to the Lower East Side. This neighborhood, which is bounded by Allen Street and Canal Street, is filled with a wide range of entertainment venues. It contains a number of bars that run the gamut from piano bars and high class lounges to dancing halls and neighborhood dives. It is also home to a number of live music venues such as Mercury Lounge and the Bowery Ballroom. This neighborhood also has a large immigrant population so visitors also have access to some great ethnic grocery stores, bakeries and restaurants. The Bronx Zoo has the distinction of being the largest metropolitan zoo in the United States. This zoo covers an area of 265 acres and contains over 4000 animals from 650 different species. Some of the major exhibits at the Bronx Zoo include The World of Birds, World of Reptiles, Monkey World and the Madagascar Exhibit which features exotic wildlife such as the Nile crocodile and the Madagascar hissing cockroach. Tickets to this zoo cost about $17.95 for adults, $16.15 for seniors and $14.35 for children. Times Square is called “The Crossroads of the World” and it is easy to see why that is the case. It is also full with people from around the world and has a number of amazing attractions which include Times Square Studios (current home of ABC's Good Morning America), the Chevrolet Clock, the Bertelsmann Building and the New York Times Tower. It is also home to first rate hotels, restaurants and store fronts. It is one of the most visited attractions in the city and is known for its vibrant and electrically charged atmosphere. There are still so many things to do and places to visit that are not listed here! 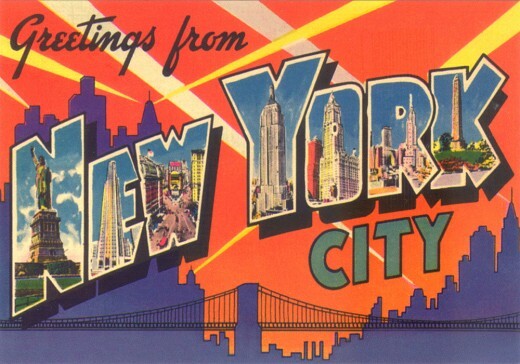 Share your favorite New York City tourist spot here! What I like most is the catering in NYC because they really do a great job making their customers happy and comfortable. I have a list of restaurant that I love. What restaurant is the best in catering service that you know? This will always be my most favorite city ever. It's just bursting with vitality and lots of cool places and culture. New York is very rich city of USA due to its outstanding attractions. Central Park is one of them. This park is located in New York City, in the heart of Manhattan. It is a national historical landmark that draws in nearly 38 million visitors from all over the world every year. Recently I visited this park through the bus tours from New York . This park has something for both adults and kids. The Central park is the main center of attraction and offers nice opportunity to enjoy nature photography.